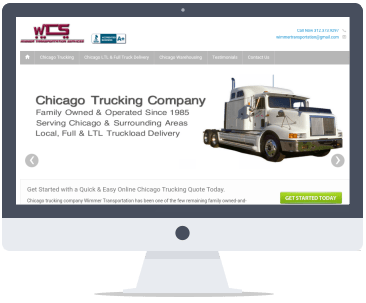 Wimmer Transportation is one of the trucking industry’s leaders in local LTL and Full truckload shippers in the Chicagoland area. Our online optimization continues to grow their business, adding new residual accounts while maintaining their current customer base. When we began with Wimmer Tucking they were paying a small fortune every month to a company who had not delivered new customers as promised. 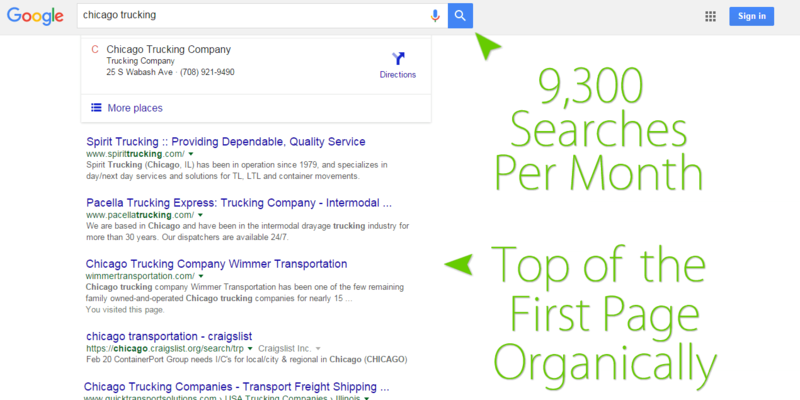 This large company did had not optimized their site and were found nowhere on Google. First we cut his monthly investment in half. 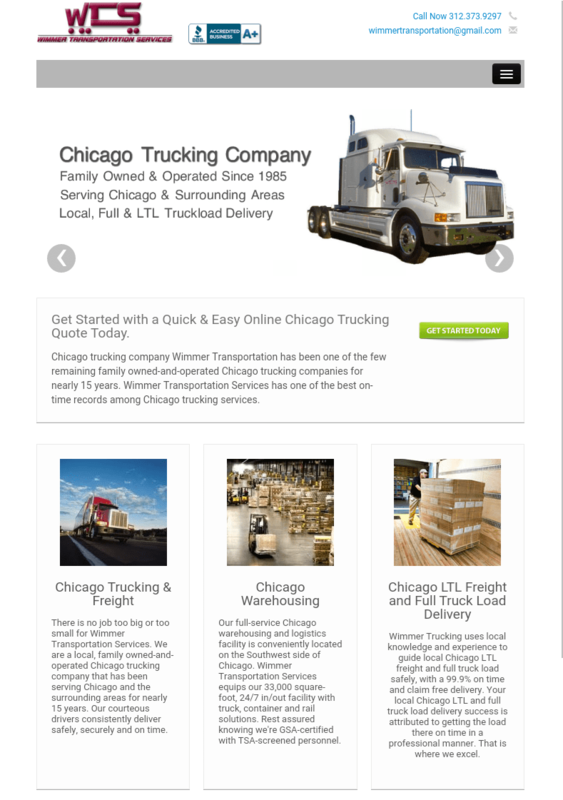 We then attacked the Chicago trucking category on many fronts. First we built a responsive website to make sure we were optimized for all screen sizes. At the same time we listed them on over 50 directories and publications related to trucking. We optimized their site and added social media element for word of mouth referral business. We continue to improve Wimmer Trucking's online marketing campaign and have every month since 2009. Wimmer Trucking has grown leaps and bounds since we began over 7 years ago. The success markers are numerous - first page on Google, 10x growth, new client calls daily, and a powerful presents online for any referrals that check references online.